After reaching one of intermediate levels, Euro started new correction. However, price may yet continue growing up. 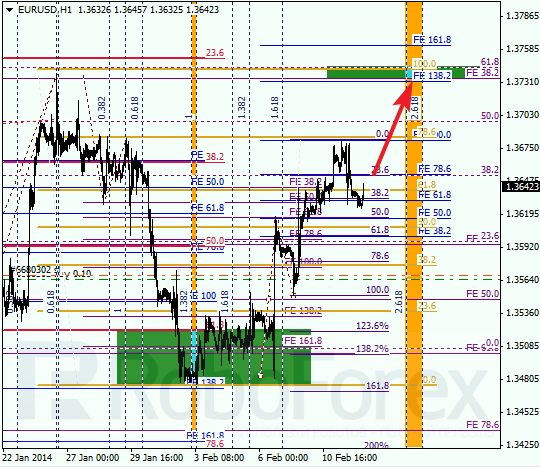 Closest important target is at level of 1.3810, which may be reached until the end of this week. At H1 chart, correction reached local level of 38.2% and rebounded from it. 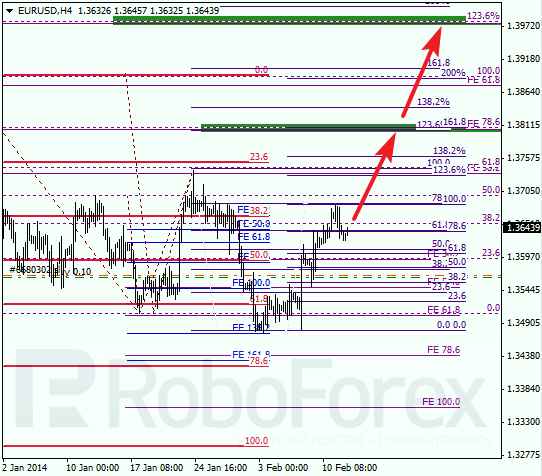 Closest target is near several fibo-levels at 1.3735. 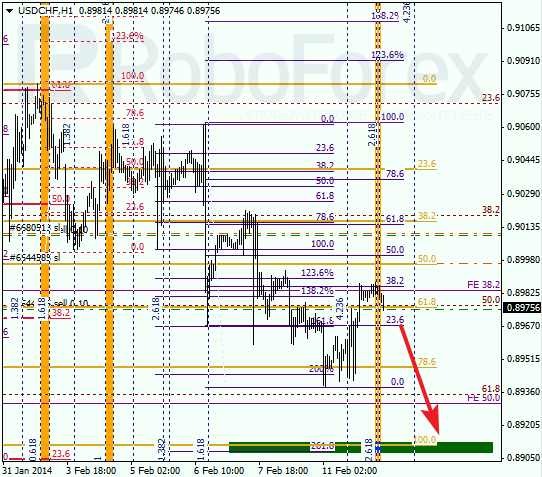 According to analysis of temporary fibo-zones, this target area may be reached during the next 24 hours. Franc is also being corrected. Main targets are still in lower part of the chart. Market is expected to start new descending movement towards them during the next several hours. 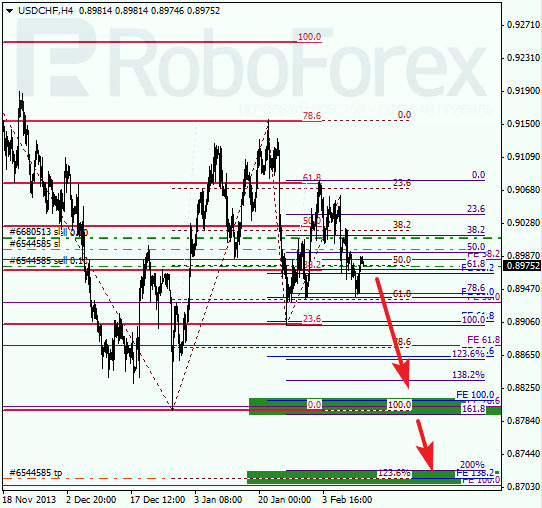 At H1 chart, market reached local level of 38.2%. According to analysis of temporary fibo-zones, price may reverse. If price rebounds from this level, I’ll increase my short position.